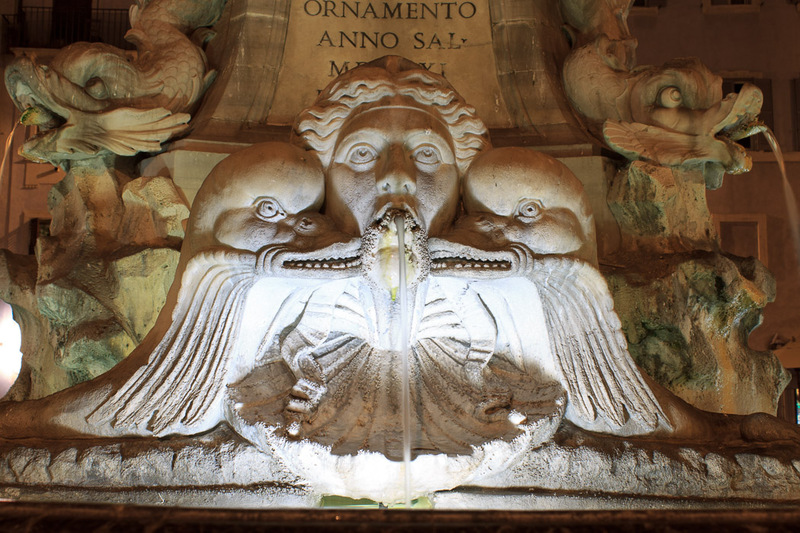 The Fountain of the Pantheon was first created by Giacomo della Porta around 1575, and modified to the present design in 1711 by Filippo Barignoni. 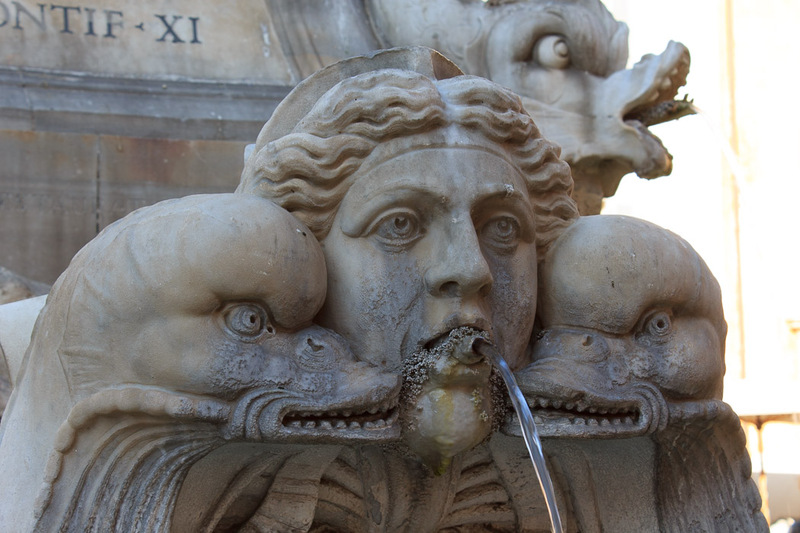 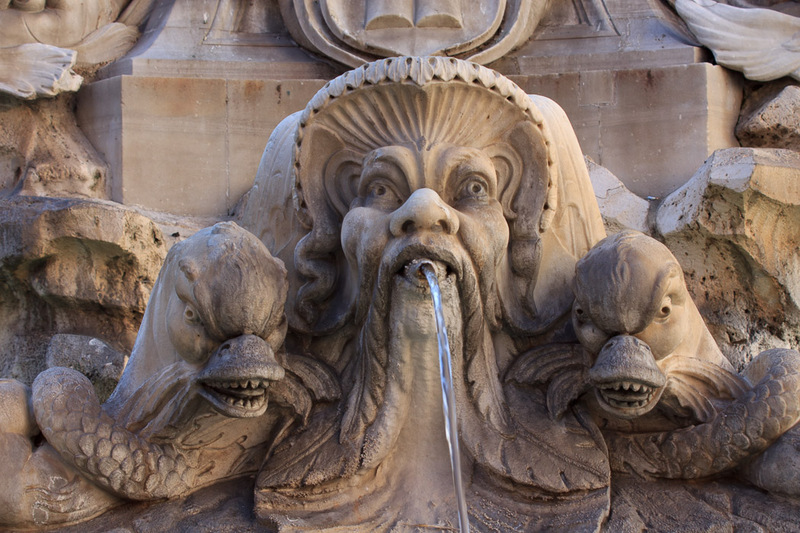 Four dolphins are found at the corners of the base of the Macuteo Obelisk, with four gargoyles in a layer below them. 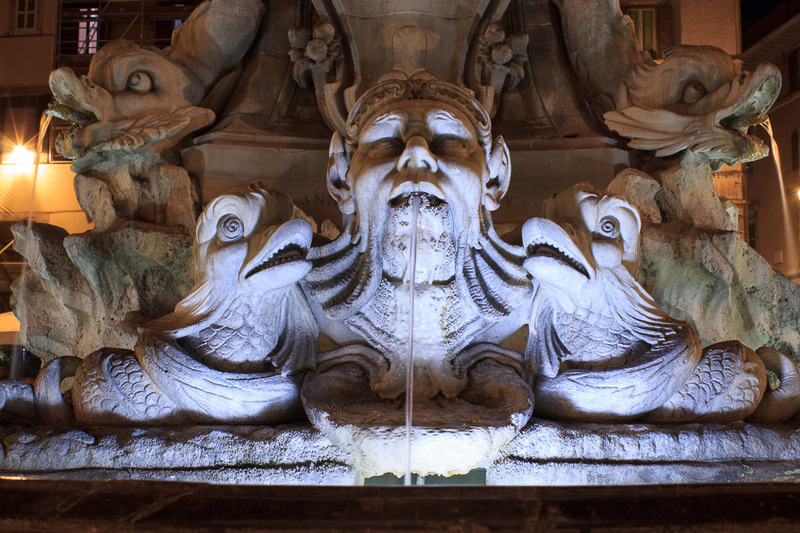 The dolphins and the gargoyles have jets which land in a pool about 4 feet off the ground. 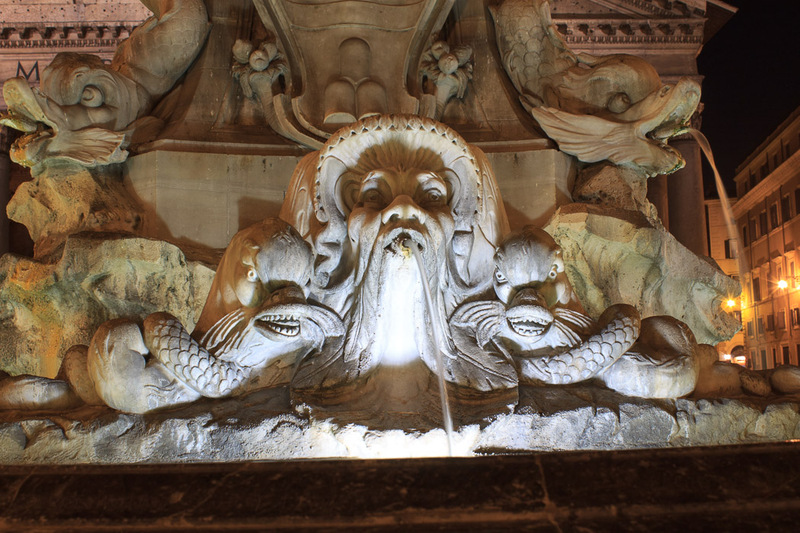 The gargoyles are eerily-lit at night. 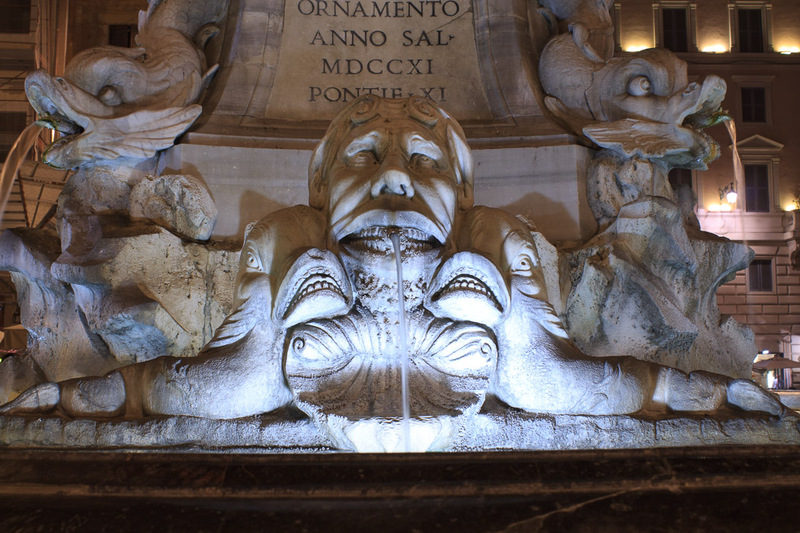 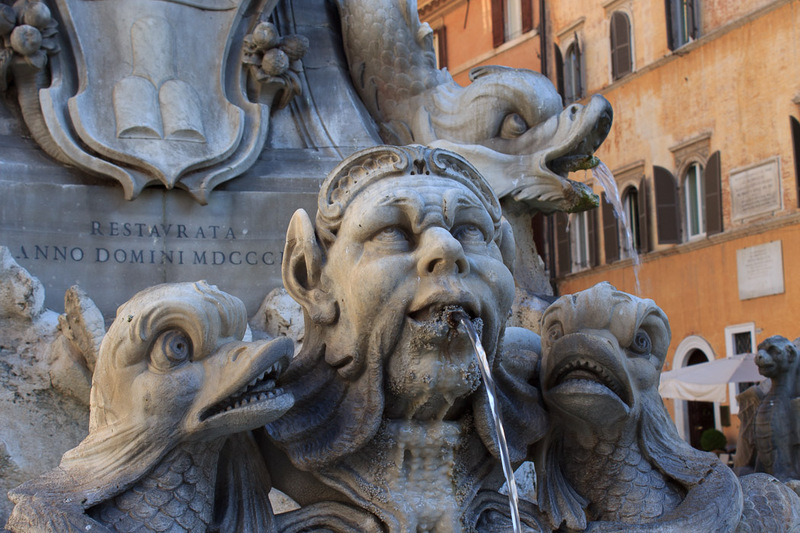 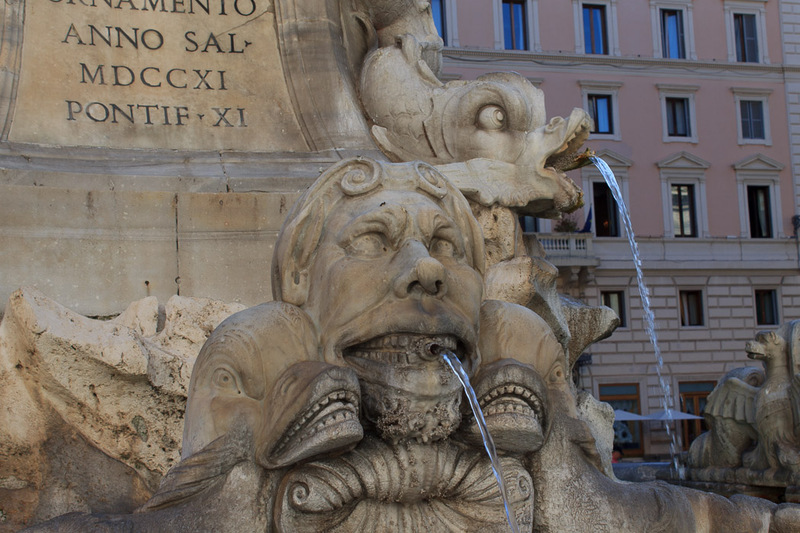 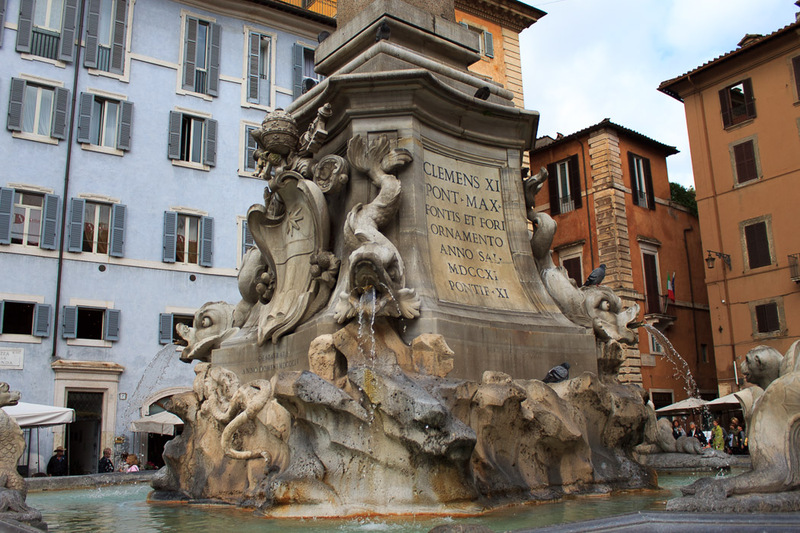 See all Fontana del Pantheon photos. 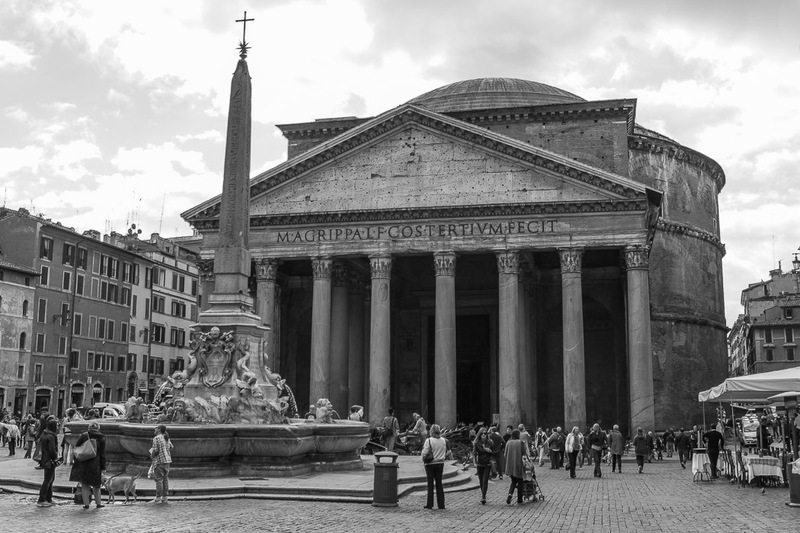 See all Fountain of the Pantheon photos.